The over-sized Mail Boss Package Master Commercial Locking Mailbox is the ultimate lockable mailbox for receiving small packages and parcels. 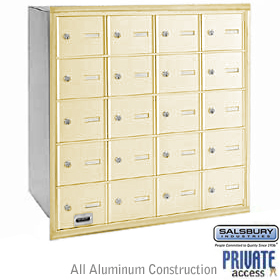 The over-sized Mail Boss Package Master Locking Security Mailbox is the ultimate lockable mailbox for receiving small packages and parcels and securely and safely storing weeks of mail. 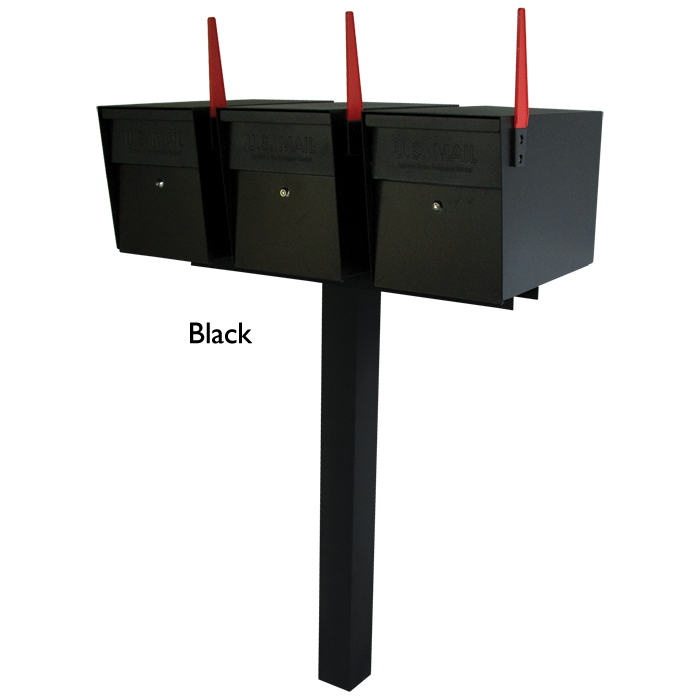 This extra-large capacity mailbox features patent-pending “Mail Shield” technology, so unlike with other bin-mailers, your mail and packages are safe from fishing. The Package Master from Mail Boss is the perfect locking mailbox for those who need to receive small packages such as prescriptions by mail. We have finally created a “Bin-Mailer” locking mailbox that accepts packages and yet cannot be fished by hand (like the Oasis Jr«, Parkview, etc.). It features the same quality construction features as the original Mail Boss locking mailbox. The Package Master is made of 12-gauge and 14-gauge electro galvanized powder-coated steel, and features the patented anti-pry locking system to prevent leveraged entry. It also features the patented Fast-Trak Mounting Plate, so it easily installs in just minutes. The Package Master locking mailbox is larger than the curbside Mail Boss, accepting small packages and parcels and storing weeks of mail. It features patent-pending “Mail Shield” technology which allows packages to be received securely via a level flap guard mechanism, but prevents unwanted arms from reaching into the mail storage area.